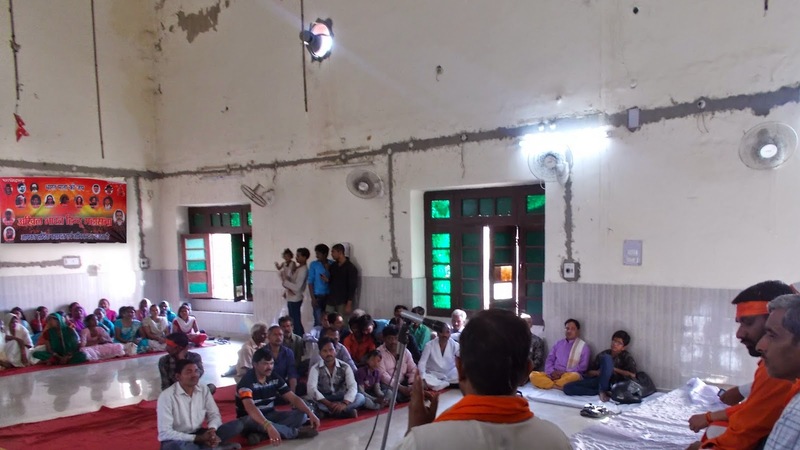 LUCKNOW, 23rd March 2015:The leaders of .All India Hindu Mahasabha U.P on Monday began a compaign to aware the people to make India a Hindu nation. Ms. Rita Rai, office bearer (north India) of Mahasabha, appointed the various members as a district president; namely, Bajrang Sonkar ,for Lucknow; Bhujbal Singh, for Jhansi ; Kaushal Kumar Dubedi, for Unnao; and Raghuvendr Mishra , for Azamgarh. Mr. Bajrang Sonkar addressed the public meeting in a common hall at Darulshafa. He said, "It is an opportunity for us that we are to serve the social work to Hindu Mahasabha under the leadership of Ms. Rita Rai, so we shall perform the duty assigned to make a Hindu nation." He further added, "Donate our every drop of the blood to the Hindu nation to maintain the responsibility of our posts. we must have a dedicated, disciplined social worker for the Hindu Mahasabha."